Dr Giorgia Longobardi is an academic visitor at the Cambridge Graphene Centre and the Engineering Department of the University of Cambridge. 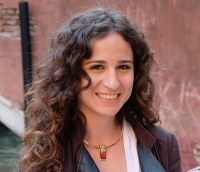 Dr Giorgia Longobardi is a Research Fellow in Engineering in Gonville & Caius College in Cambridge University. She is a member of the Nanomaterials and Spectroscopy group in the Electrical Engineering Division.